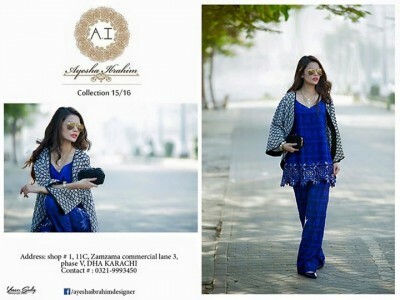 Ayesha Ibrahim is the most talented and leading fashion designer, who has been working in the fashion field for last many years. She has launched her recent girls winter wear collection 2016 and these dresses are prepared in the eastern wear style. These dresses are looked beautiful and stunning, which are prepared in trendy and unique designs and styles. 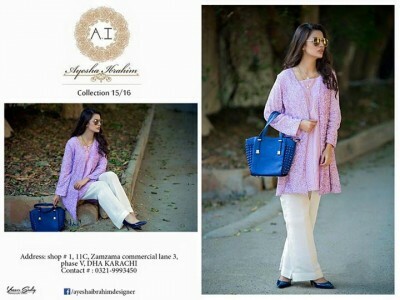 The women and girls need to visit the outlet of Ayesha Ibrahim to look at the latest and unique dresses. She has created the new styles and worked hard over the dresses to make them trendy and stylish. 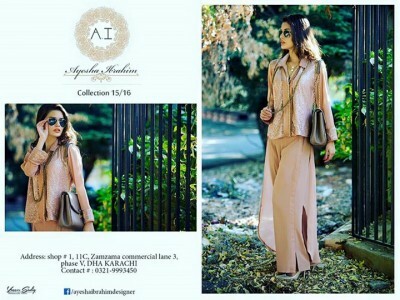 The women and girls can watch at the complete Ayesha Ibrahim winter collection 2016. 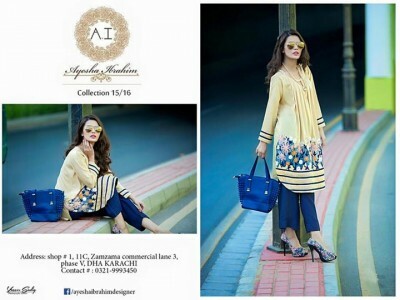 The dresses of Ayesha Ibrahim winter collection 2016 are prepared with high quality stuff and made them luxury dresses. The embroidery and motifs have been used to make them stunning and wonderful collection of the dresses. The whole collection is beautiful, elegant and bold. The bright and bold colors like orange, green, blue, cream, pink, yellow, purple, red, maroon and white are used in the preparation of these dresses. In this collection, the women and girls can also find the knee length coats, which are paired with trousers. They can also find the small length shirts and these are perfect for the formal and casual wear. The dresses are perfect to wear and these can be adorable and comfortable to wear. The women can check the complete collection and they will find the brightly designed dresses and they also have the wonderful embroidery work.